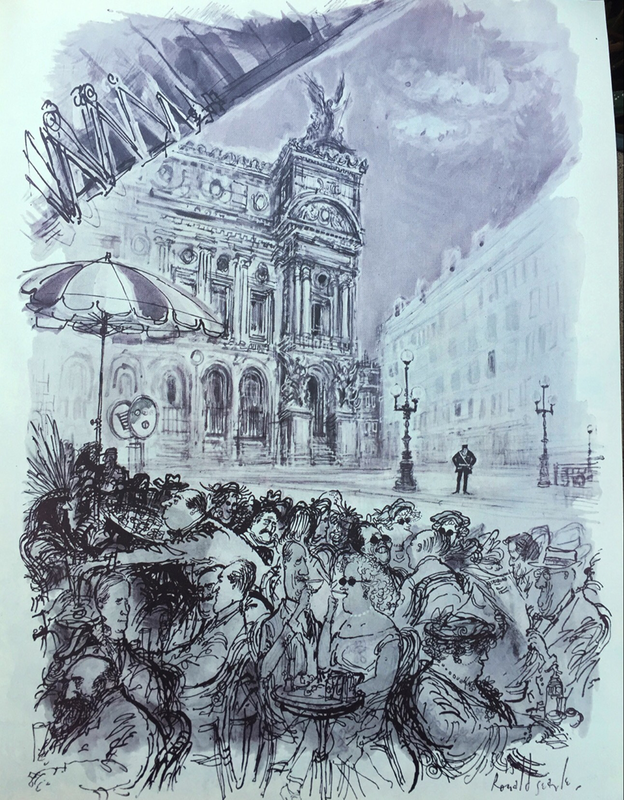 After watching Danny Gregory do a video book tour of Searles Paris book yesterday I took these screen shots of some of British Ronald Searles amazing drawings from the perpetua blog dedicated to all things Ronald Searles. The dome of Sacre Couer gleams white in the sunlight. 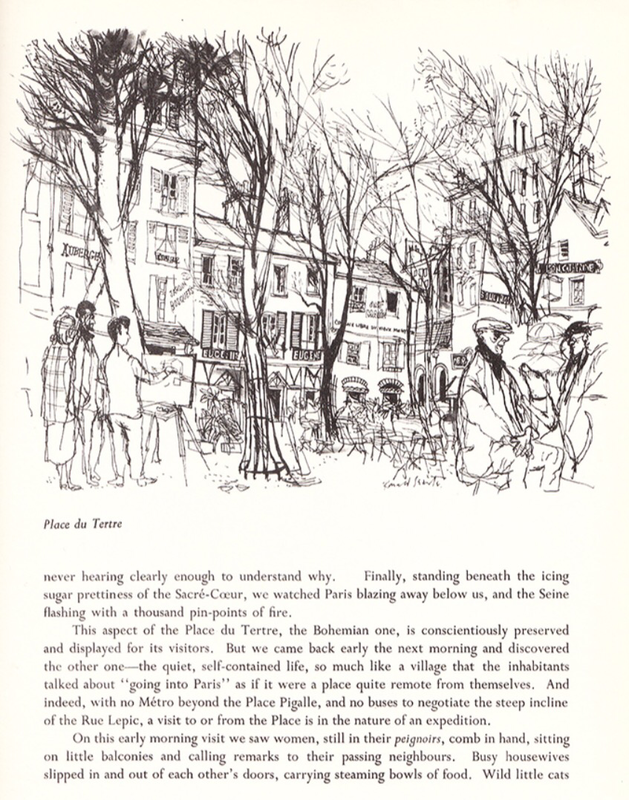 Searles actually moved to Paris after WW2. 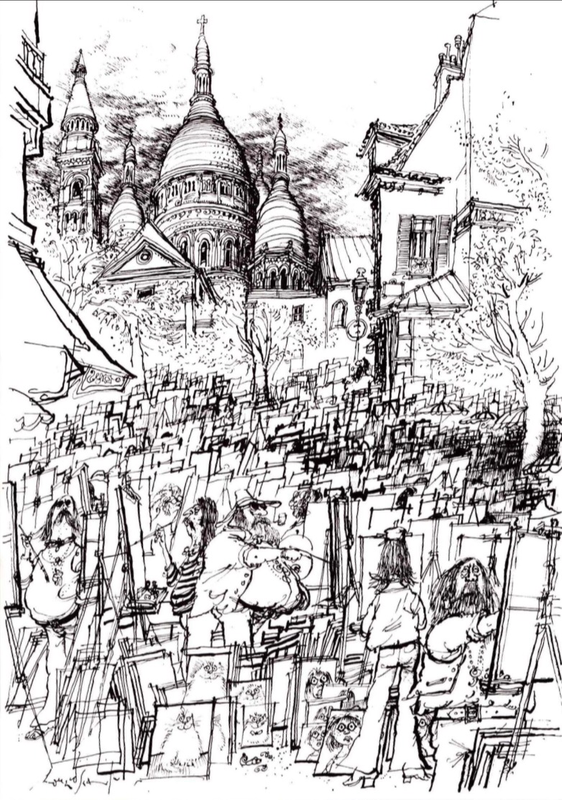 This photo is called summer in Paris and is drawn below Sacre Couer w hitch dominges Montmartre. 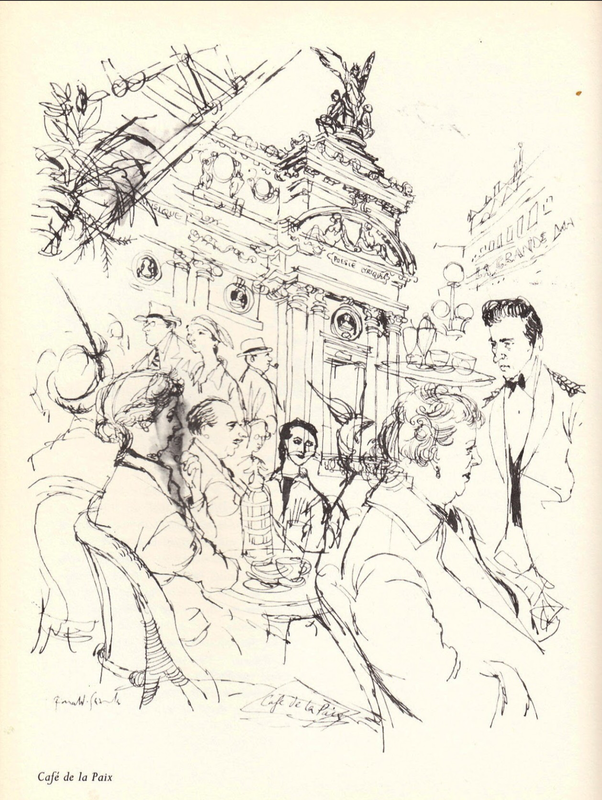 Cafe de la Paix. Love his scratchy lines. Made with a dip pen or?! A cafe scene. The food is so good and the views are amazing. I love three fact is people are out of proportion. Heads too small or too big for bodies. Noses too long. And mile long chins. 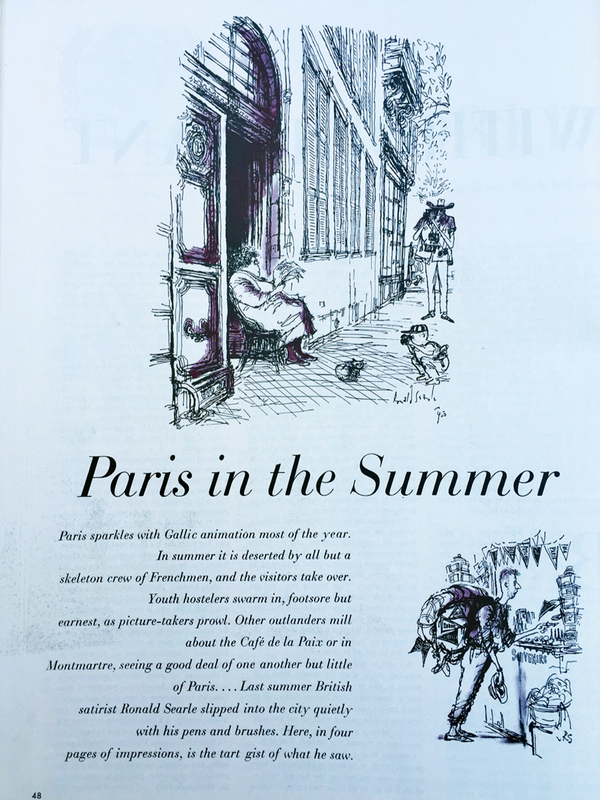 Paris in the summer. Wish I was there drawing. 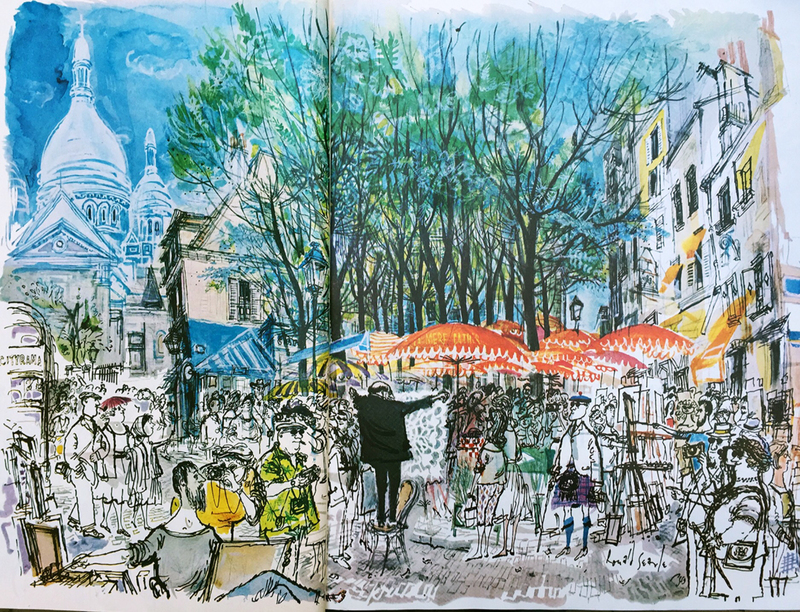 More Montmartre Place de Tertre.